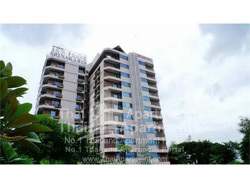 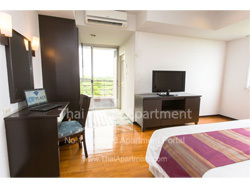 SKY PLACE apartment is a modern executive serviced apartment. Having a service area from 34-105 sqm. 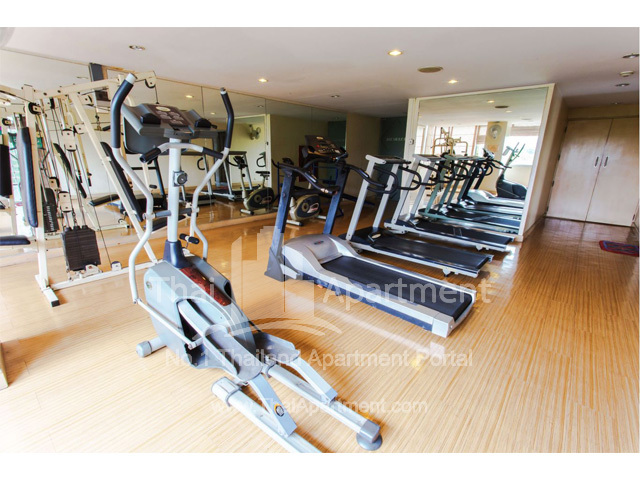 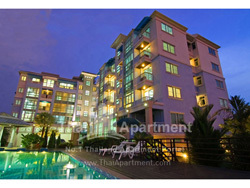 Fully furnished with modern facilities for luxury living. 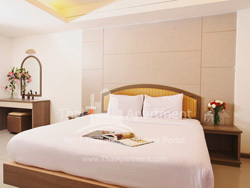 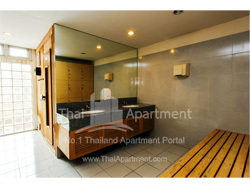 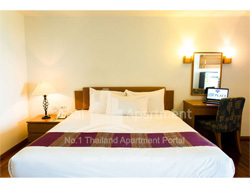 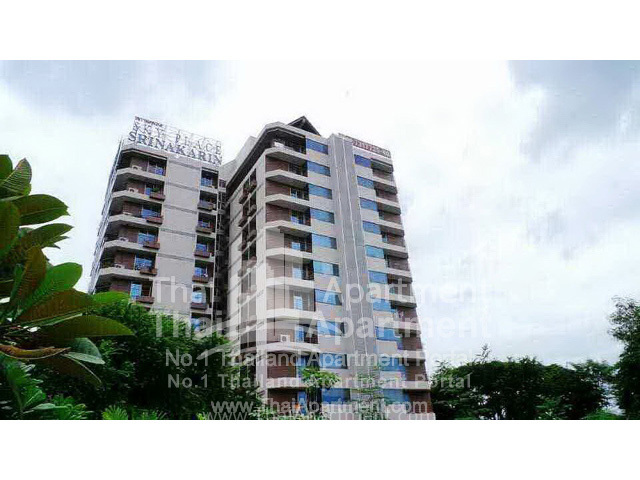 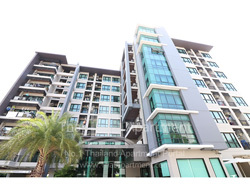 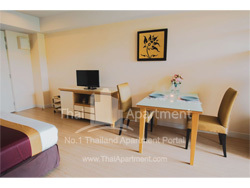 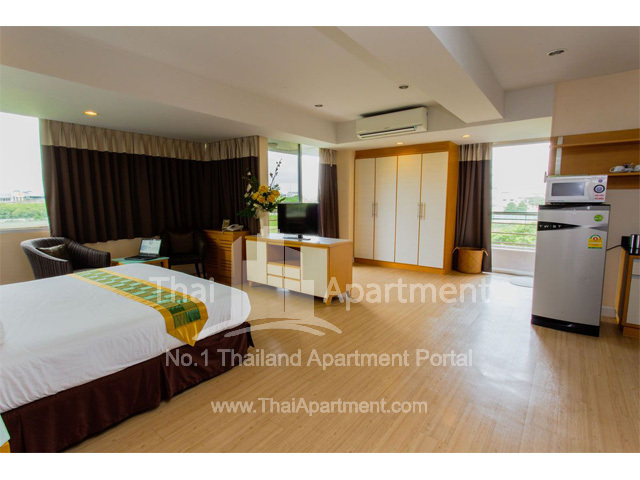 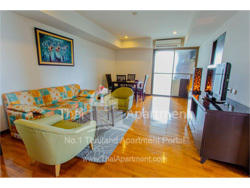 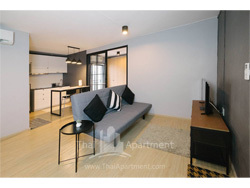 SKY PLACE is located on the end of RAMA9 and SRINAKARIN intersection and only 15 minutes to SUVARNABHUMI AIRPORT. 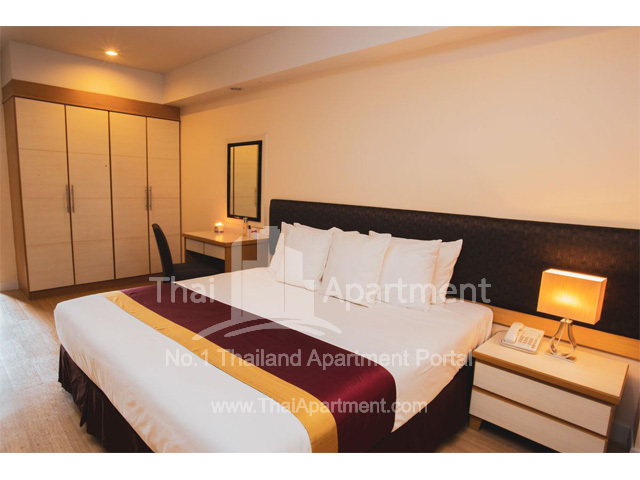 Affordable and comfortable for short term or long term stay, ideal for business or leisure travel, vacation or temporary housing. 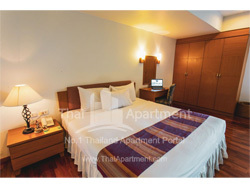 Available for daily, weekly and monthly rentals with modern amenities and wifi high speed internet access in every room. 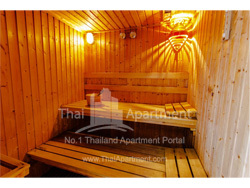 Enjoy and relax yourself in our quiet suburban area but only a short distance from major shopping center and recreation. 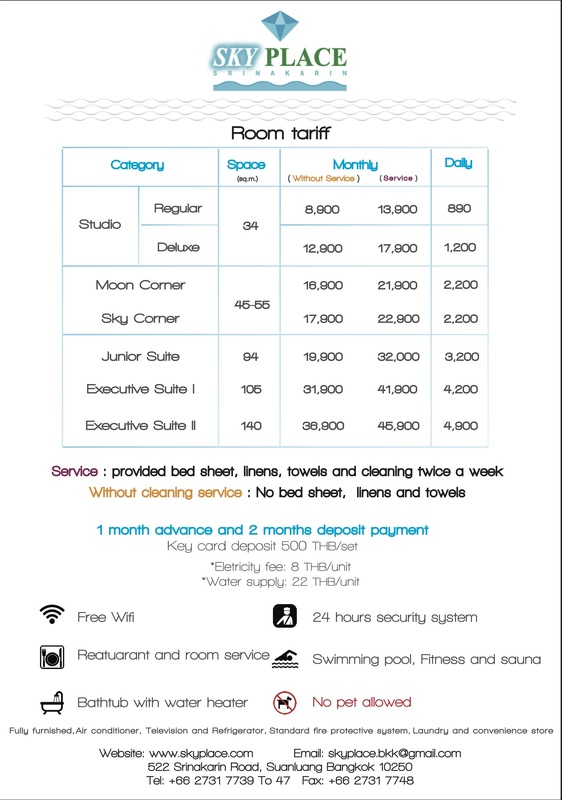 • Key card Deposit 500 THB/set.